Michael Ochs Archives/Getty ImagesLet’s go crazy remembering Prince, who died one year ago today from a drug overdose. 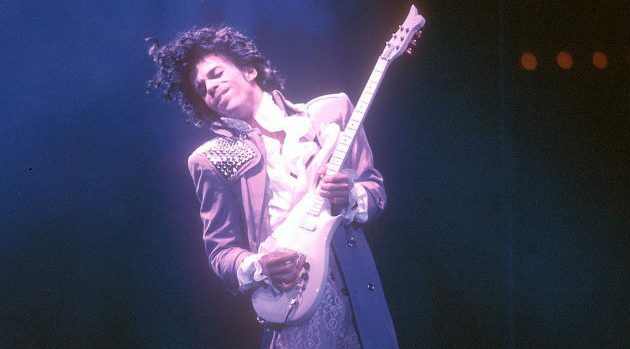 Unfortunately, the legal turmoil surrounding the rights to Prince’s music, as well as the ongoing investigation into his death from the painkiller fentanyl, may impact his legacy as one of the greatest artists of all time. In public, Prince was vehemently anti-drug, but it’s now emerged that he was apparently struggling with an opioid addiction. Still, rock critic Alan Light, author of Let’s Go Crazy: Prince and the Making of Purple Rain, says there’s more to that story. “I don’t think that, at this point, we look at him and think [the drugs revelations have] tarnished who he was and what he stood for, while we’re still sort of trying to make sense out of all of this,” Light tells ABC Radio. He says Prince fans were somewhat complicit in his addiction, which was likely a result of the chronic pain he suffered after years of performing. “You watch him jumping off of tall speaker stacks, landing in heels, going into a spin and a split…and you wince…it never occurred to any of us before,” says Light. Light also feels that being able to watch footage of Prince is what’s most needed right now to cement his legacy. To that end, Light believes it’s imperative that Prince’s estate comes up with a way to ensure kids can understand the musician’s impact. He claims they’re not as aware of Prince’s genius as they should be because Prince kept his music off streaming services and YouTube. “I think that there’s really a huge reintroduction that needs to happen, to generate an awareness for those who weren’t around for the glory years to know what this guy was really about,” Light tells ABC Radio. Light also wants people to realize that for all of Prince’s reputation as an eccentric weirdo, he was a real human being. Prince’s home in Minneapolis, Paisley Park, is currently hosting a celebration in honor of the musician that runs through April 23.